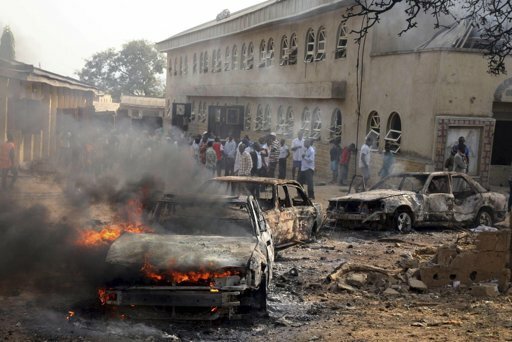 Nigerian Catholics were burned to death in their cars today as they were leaving Christmas mass. Boko Haram Islamists took credit for the Christmas Day attacks. Bomb attacks on churches during Christmas services and a suicide blast in Nigeria killed at least 40 people amid spiralling violence claimed by Islamists. A purported spokesman for Islamist group Boko Haram claimed responsibility for a bombing of a church outside the capital Abuja and other violence which stoked fear and anger in Africa’s most populous nation. 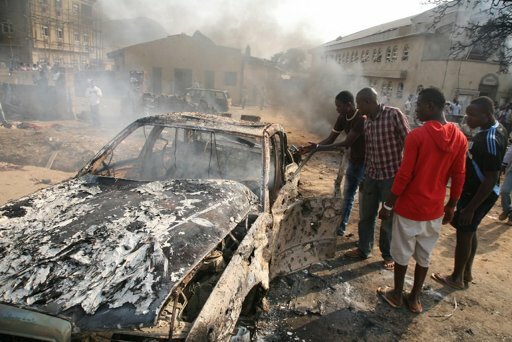 Nigeria’s national security adviser blamed Boko Haram for the horrific attacks that saw worshippers killed as they were leaving church and burnt inside their cars. Victims at the church outside the capital, where 35 were killed, ran toward a priest with dying pleas, including one man who was mortally wounded. The series of attacks drew condemnation from the Vatican, the White House and several western countries. Nigerian authorities were unable to prevent the latest attacks despite military crackdowns and claims of arrests of Boko Haram members in the country, roughly divided between a mainly Muslim north and mostly Christian south.